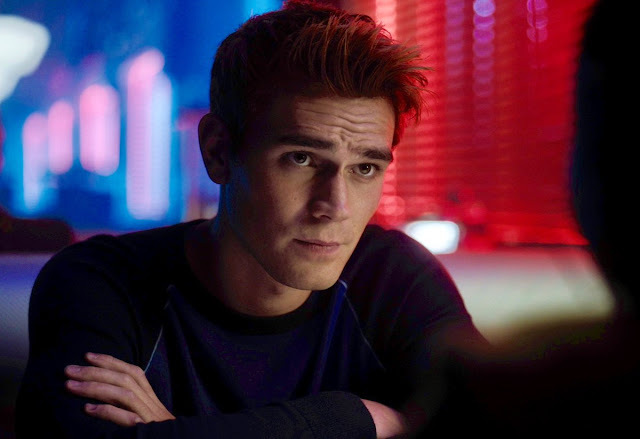 Riverdale - Chapter Forty-Seven: Bizarrodale - Advance Preview: "The Right Time"
Please remember that I’m attempting to keep these previews as insightful as possible, but as spoiler free as possible as well, which leaves me with not a lot to work with. OH MY WORD! Chapter Forty-Seven is probably one of the best episodes of Riverdale Season 3, and I’m here to tell you almost sorta why. 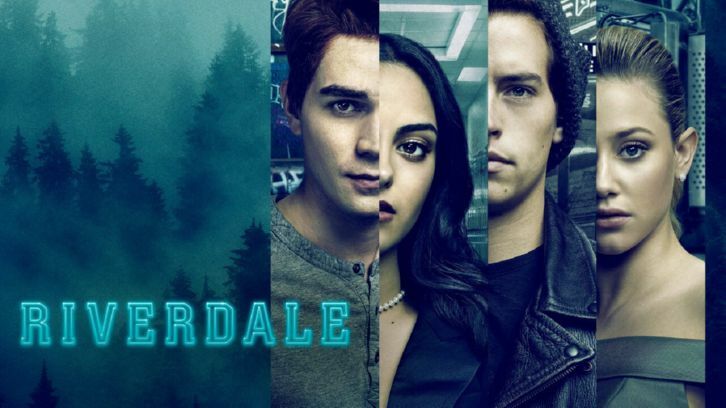 “Bizarrodale” is really the opposite of a normal hour of Riverdale and that not’s a bad thing. Honestly boils down to the fact that the writers of the show realized that there were characters outside of the core four and decided to tell stories with emotional weight while still blending in new story elements with overarching mysteries. If every week could find this balance and not focus on more of the same… I’d be heaven. FP sums this up pretty spot on at the end of the episode, when he says something to the effect of, we unmask one Gargoyle King and another one pops up in his place. I’m not even sure if there is or isn’t a Gargoyle King. I’m not sure this is the final unmasking of the Gargoyle King. 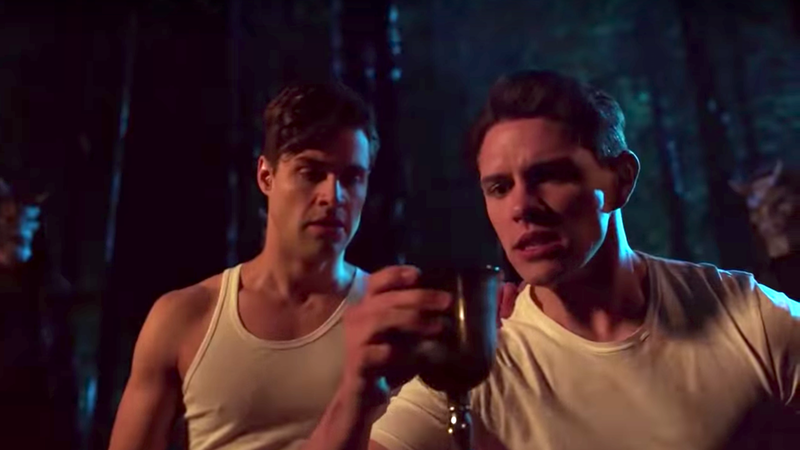 It was interesting how this Gargoyle King manages to pull one over on the adults of Riverdale and even kidnaps some residents before he’s caught. What I can say is that while this week’s Gargoyle King’s actions are cruel, twisted and somewhat sad once the mask comes off and the motive is revealed. Cheryl and Toni actually have lines and stories that have nothing to do with being used by other characters to “save the day”. It’s not a world class story, but it’s theirs and it gives their relationship some much needed depth by exploring their dreams and what’s important to each of them. Of course there’s scheming and blackmailing involved to help them achieve what they want by episode’s end, but all the same, it’s cute to see where these two end up. Lots of Josie and Kevin with side orders of Moose and Archie. As so many of already guessed, there is most certainly a spark between Josie and Archie, but with news of Josie’s departure for a spin-off on the airwaves, fans of Archie with literally any girl that looks at him can rest easy I’m sure. Josie and Kevin’s parents are set to be wed, and of course nothing in Riverdale can go on without a hitch. Josie sets out to chase her dream which in turn makes Archie a good friend when she needs him most. 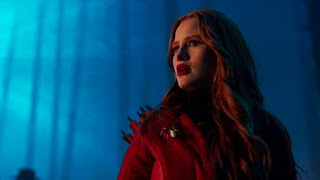 On the other side of things, Moose and Kevin spend a lot of the episode trying to DTR(Define the relationship) and it most certainly is defined by hours end though the journey(Ahem, Cheryl is awful, Ahem) to get there is most tumultuous. Oh so there’s a college in Riverdale or close by that’s prestigious? How many of these kids will be going there in order to keep the kids together once they enter the college years? Are you guys even trying to be discreet at this point? Oh yeah. 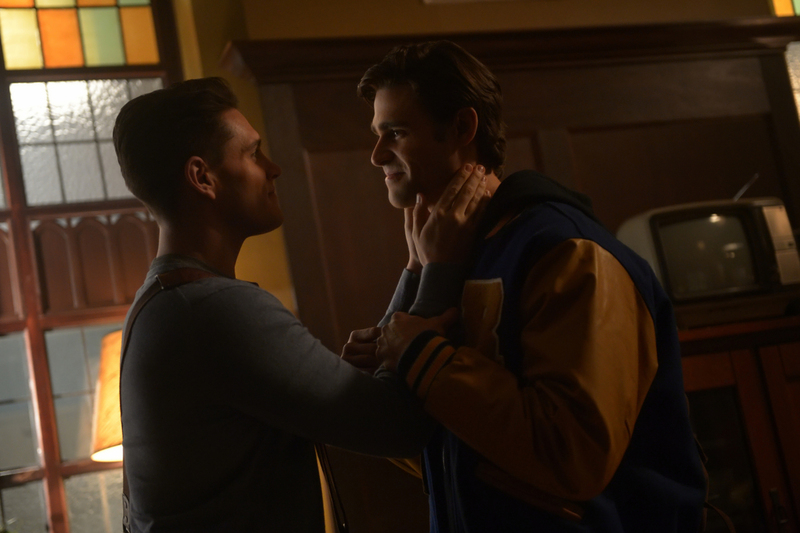 You two were a thing….11 episodes ago. Blind Item? Oooh GURL. You’ve done it now. Ah man, I wanted to hear her sing. Wait, there’s a cyanide antidote you can take prior to being poisoned? Well, that will surely kill anyone’s mood. I’m not sure how I feel about this name, or where you found all these random girls, but alright. Well, how are you gonna bless us with this, and then just take it away?! OMG! This is gonna be soooo good. Who would expect that she would be in on this? Riverdale, Chapter Forty-Seven: Bizarrodale airs Wednesday, 02/6 on the CW. Will you be checking it out? Sound off below!